The Spring Festival is a huge deal in China, so much so that people have taken to renting out a fake partner to help keep their parents off their back and allow them to enjoy a less stressful New Year celebration, but it comes with a hefty price tag. 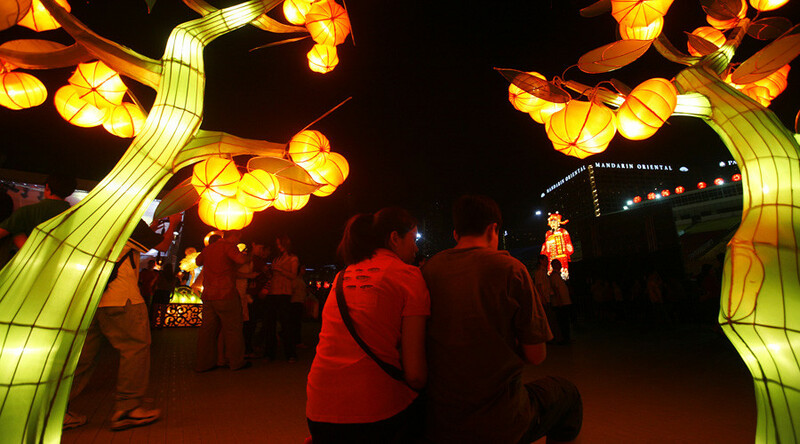 The market for temporary partners has exploded in the run up to the Chinese New Year, according to China Daily. While there is normally high demand for ‘renting’ girlfriends, this year has seen massive demand in 'boyfriends-for-rent', with prices skyrocketing by almost 50 percent since last year. It seems men aren’t shy either about advertising their wares on China’s most popular social network, Weibo. “Come, hurry and rent me! I can lift heavy things, sow back your ripped clothes and can even cook. Key is I am single and am in my 20s,” reads one post. “The rental market seems very hot these days! Lucky my parents are quite calm, so I can save some bucks,” another reads. Roughly 1,000 yuan (US$145) per day is the typical rate in peak season during the build up to Chinese New Year on January 28 - off-season prices usually start from 600 yuan ($87). More often than not, this is more than the average monthly Chinese household income. Websites that promote these services, as well as the individual ads themselves, are quick to point out that there's no sexual contact on the dates, with some even dismissing the idea of physical contact altogether. There is massive social pressure to marry young in China, but ever-growing financial pressures have led young people to pursue their careers in favor of settling down as early as previous generations have. As a result, people are willing to rent out their free time to make a little extra income on the side and help them save for the future when they can eventually settle down. In a recent development, the market for renting boyfriends has grown substantially, whereas before the temporary partner market had been dominated by fake girlfriends. The ‘leftover’ women or ‘sheng nu’ of China have become increasingly desperate to avoid the intense familial pressure placed upon them and the lifestyle services market caters perfectly to their needs. Tencent’s QQ messenger has been the focal point for organising lifestyle services, which have become more of a necessity for young professionals as Chinese society continues to modernize and make increasing demands on young people to have it all. These kinds of services have long been available in Japan where they are known as Rentaru Kareshi. With an hourly rate of between 5,000 ($43) - 7,000 yen ($60), the service can prove astronomically expensive when the costs of activities, transport and tips are also taken into account. One woman, who was featured on national TV, racked up a bill of 69,029 yen ($599) for her date which included food, shopping, karaoke and games.